Brand: Norpro N-3265 Units: 1 Divider creates eight perfectly even slices. Great for 9" pies, cakes, and quiche. 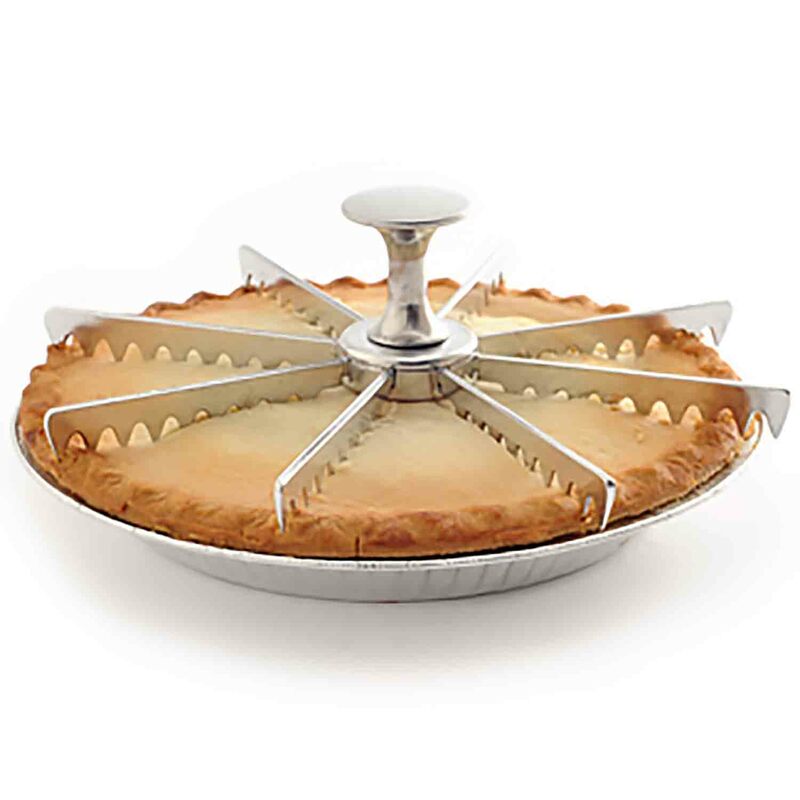 Use divider to mark pie before you bake to allow steam to escape during baking. Comfortable, easy grab center handle. 9" in diameter. Divider creates eight perfectly even slices. Great for 9" pies, cakes, and quiche. Use divider to mark pie before you bake to allow steam to escape during baking. Comfortable, easy grab center handle. 9" in diameter.